We found 1 result for memory care in Mt Airy, North Carolina. The daily costs for dementia care in North Carolina range from $53 up to $382, with an average expense running approximately $142. The per month cost averages about $4,263 and ranges between $1,595 and $11,447. On a yearly basis, the median cost is about $51,156, which is less than the national average of $60,900. 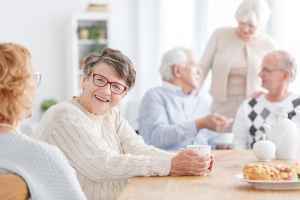 The cost of Alzheimers care in Mount Airy, NC generally ranges from as little as $1,650 per month all the way up to $7,574 per month. The median cost is approximately $5,796 per month, or about $69,548 annually. Mount Airy is a small city in the State of North Carolina. It is located in Surry County. While the surrounding metropolitan area has 2,068,612 people, there are 38,374 living in the city limits. The senior community comprises about 30% of the total population. The SeniorScore™ for Mount Airy is 68. The city has a median per capita income of $19,000 and a median household income is $35,000 (the North Carolina state average is $41,000). The current unemployment rate is about 10.1% and the mean housing price is $153,000, which is lower than the North Carolina average of $204,000. Mount Airy has mild mean temperatures, with comfortable winters and balmy summers. The city receives high levels of rainfall annually. Mount Airy has an average rate of crime, good water quality ratings, and very good air quality in relation to other cities in the United States.